The straight-talking Public Relations podcast that gives you the information you need to find your own PR direction. 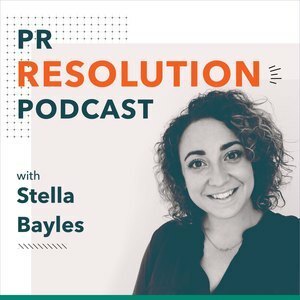 We found 1 episode of PR Resolution podcast with the tag “pr campaigns”. Steve Strickland is the co-founder of new award-winning PR agency Talker Tailor Trouble Maker. In this episode, Steve shares how he and his and co-founder Gary’s experiences in the PR industry led to their decision to create Talker Tailor and how they have poured their learnings and experiences (good and bad) into the operation. Steve shares his views on diversity in Public Relations and why its essential to build freedom into a team. He also speaks candidly about where Talker Tailor is at now and why he and Gary aim to take the agency in the future. If you’re looking for an insight into modern PR, want to hear some very real language and a have good laugh, listen now!